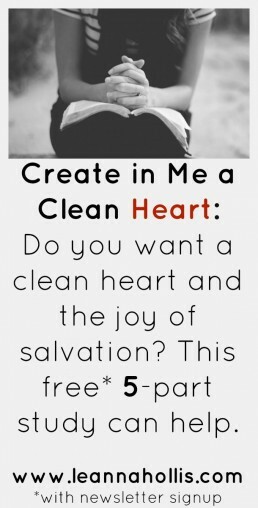 Join my mailing list and receive How to Have a Clean Heart, a free email course. It would be awesome if you’d share the news about this course on social media and Pinterest. Here’s a pinnable image to use! Thanks so much for helping to extend my digital reach!